Course Website: Official Website - Visit Hammock Beach Resort (Ocean)'s official website by clicking on the link provided. 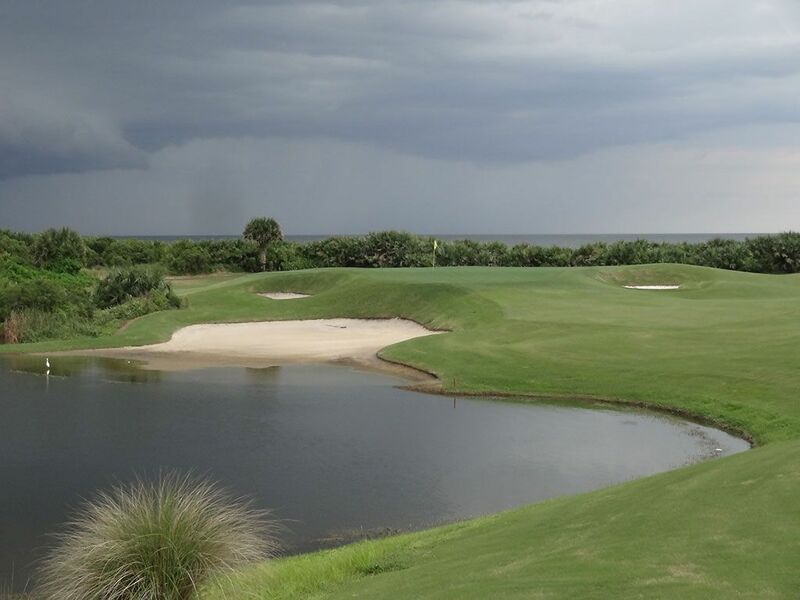 Accolades: Ranked 9th in Florida on Golf Course Gurus' Best in State list. 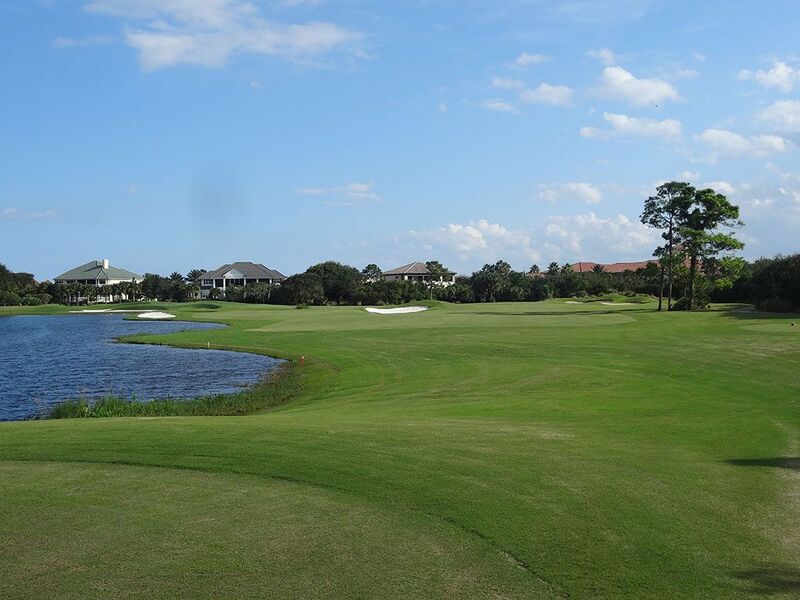 What to Expect: The Ocean course at Hammock Beach is a Jack Nicklaus design approximately 70 miles south of Jacksonville in Palm Coast, FL. 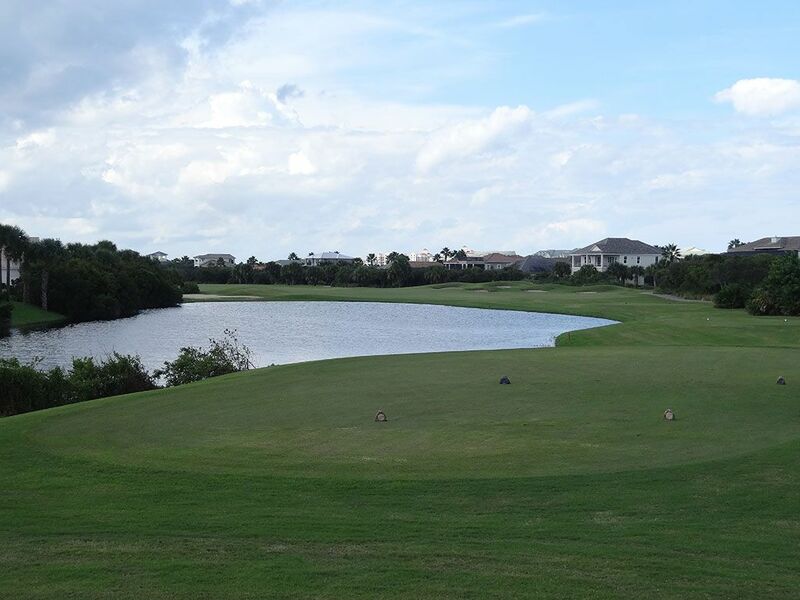 As the name implies, the course sits next to the Atlantic Ocean however the views aren't as prevalent as one would hope due to a large row of bushes and foliage that run the length of the border between the golf course and the beach. However, the glimpses of the ocean you get from the course coupled with the stunning views from the dining facilities create some serious eye candy for patrons. The fairway widths are relatively generous though the bermuda rough can be a bear to recover from if you aren't used to that gnarly grass and how it plays. 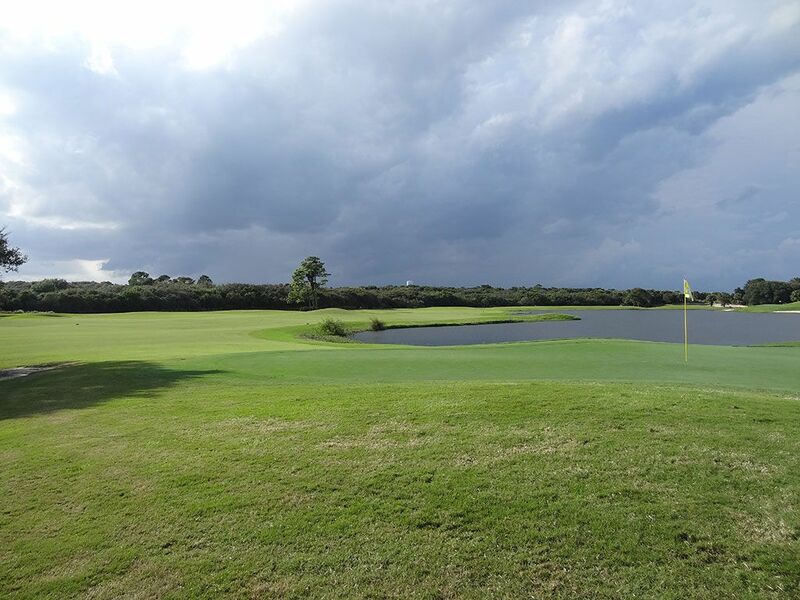 Water comes into play on a handful of holes and adds a visual attraction to the course which features many holes running through a housing development. 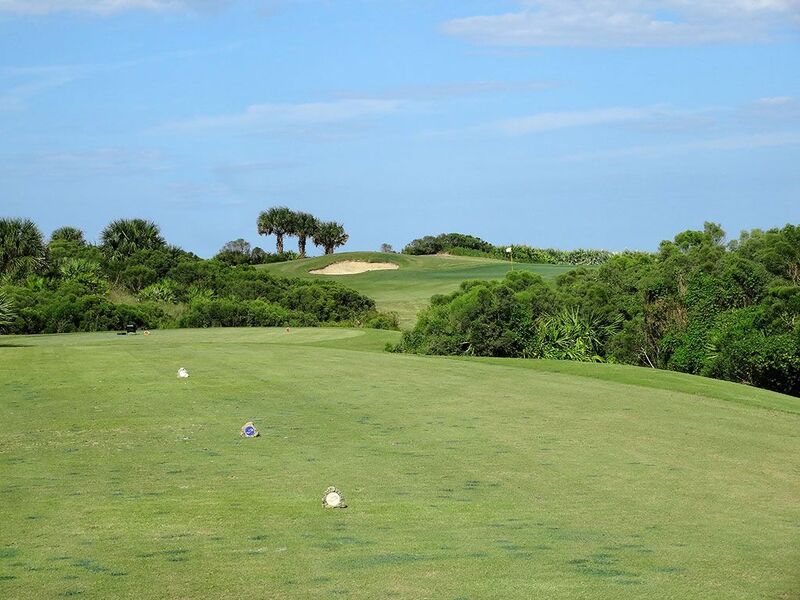 Holes 9 and 18 provide dramatic conclusions to each nine with the holes running along the coastline with the aforementioned bushes standing as the only break between the fairway and the beach. 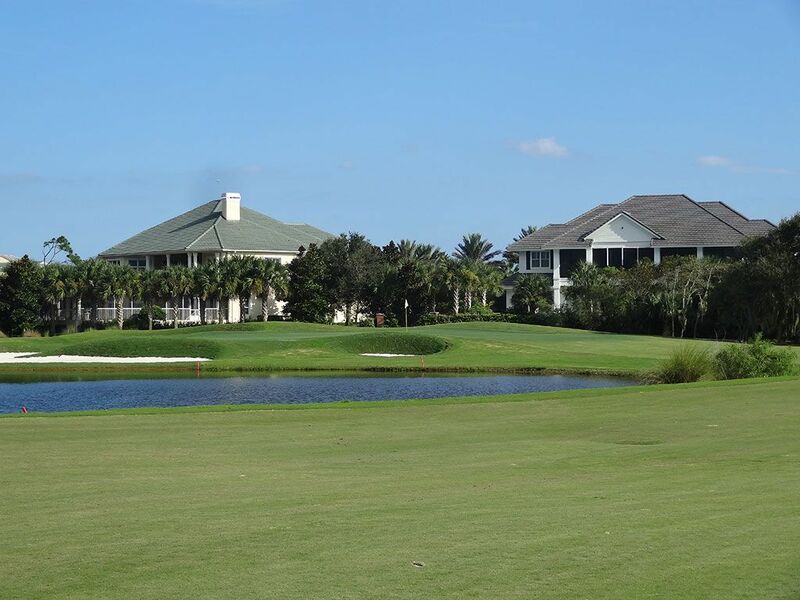 The clubhouse and facilities have a very Florida feel to them with a more relaxed atmosphere, casual attire, and carts hustling around the property. 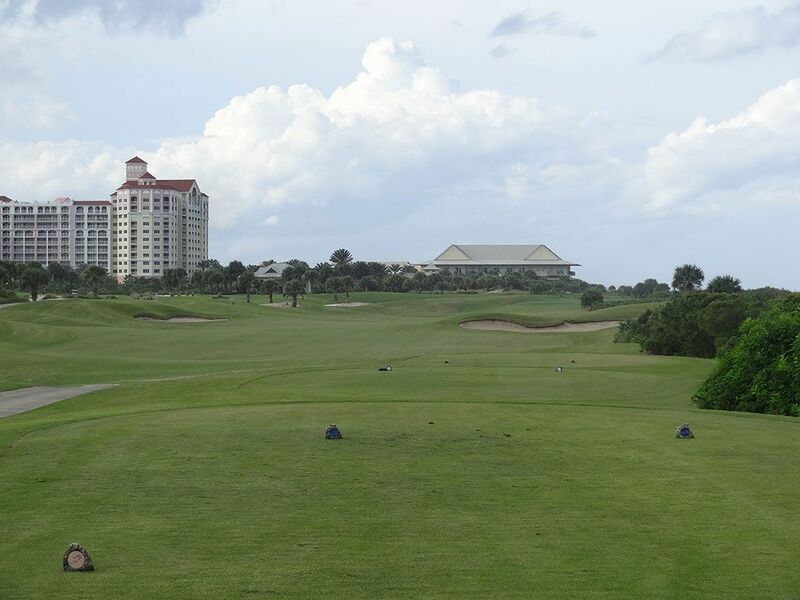 With 36 holes to play at Hammock Beach, it is a great location to play some golf before walking to the nearby beach to relax. 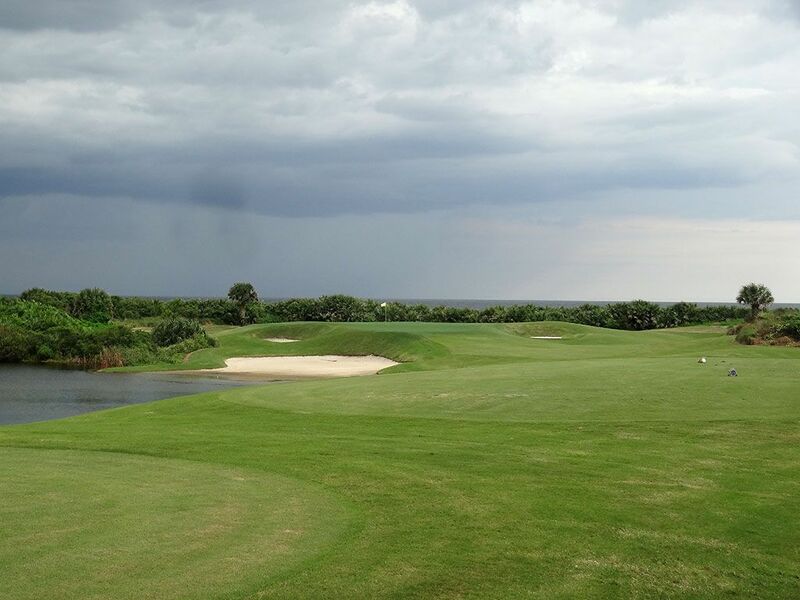 Signature Hole: 17th Hole – 174 Yard Par 3 – One of the times players are afforded a view of the Atlantic Ocean are on this hole that plays straight towards the water and provides eye candy galore. The green sits up on a small plateau above the surrounding terrain and features pot bunkers on either side of the putting surface as well as a large bunker short of the green that fades into a pond thus creating a beach effect. The aerial view of this hole is just sick how attractive it is, unfortunately from the ground level a row of bushes breaks the view from the course to the ocean but still creates a beautiful setting. 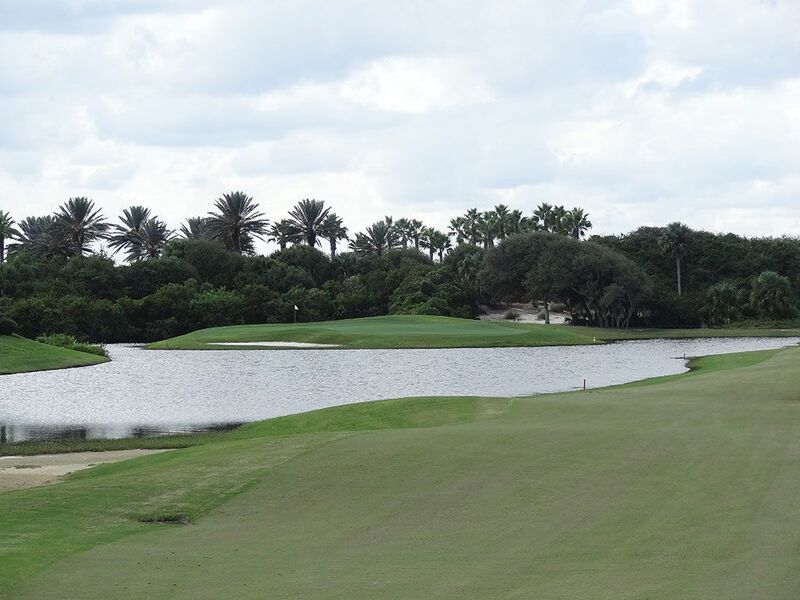 Best Par 3: 8th Hole – 185 Yards – This hole plays similarly in length and direction to the signature 17th hole but creates a more forgiving setting with a lack of water around the hole. 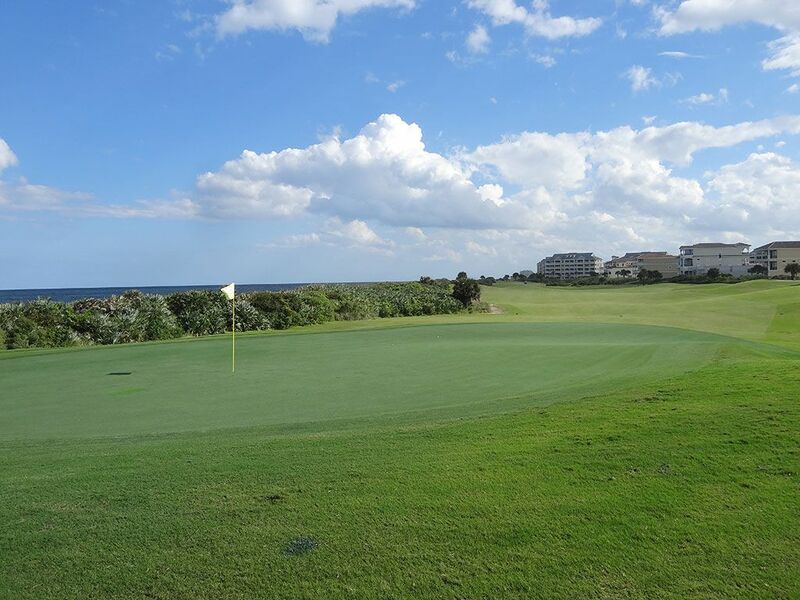 Immediate views of the ocean are not available yet you can hear the waves crashing beyond the green behind the notorious bush line that separates the course from the beach. The green sits at an angle running from front left to back right thus creating some challenging pin placements in the back third of the green with small bunkers ready to capture balls that leak right. It is a great teaser hole before embarking on the excellent front nine finisher. 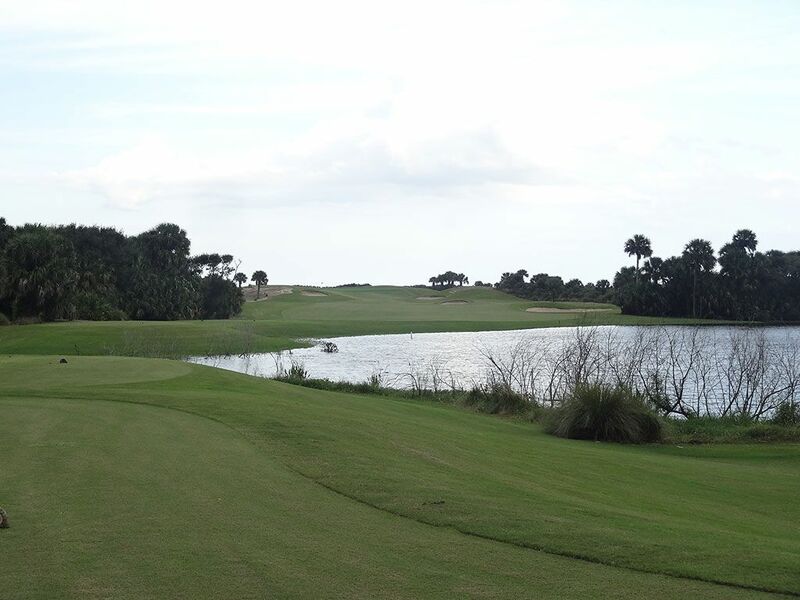 Best Par 4: 15th Hole – 450 Yards – After hitting a tee shot over a pond to a relatively generous fairway, the 15th hole presents my favorite approach shot on the course. I'm a sucker for an uphill shot where I know where to aim but won't know the result until I reach the green. There is a certain amount of excitement and anticipation associated with these type of shots and that is what you get here. 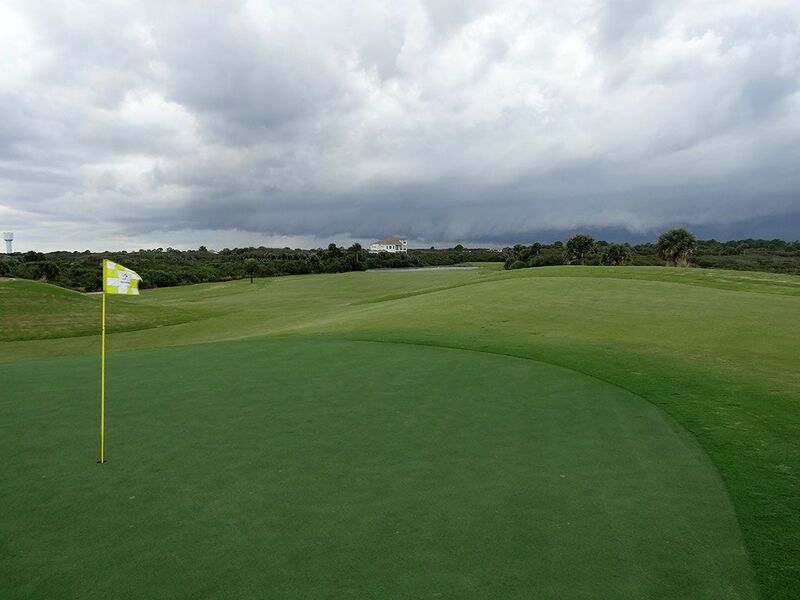 The large undulated green acts as a canvas in which balls will create a variety of intriguing results depending on the trajectory and velocity the approach is coming in with. 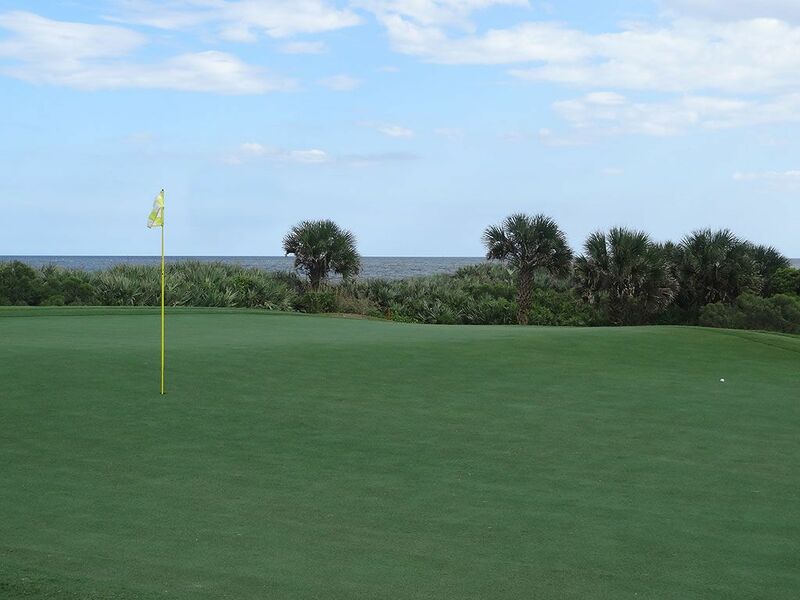 It is the beginning of a great stretch of finishing holes found on the Ocean course at Hammock Beach. Best Par 5: 6th Hole – 526 Yards – Nicklaus gives players a very reachable par five here but certainly doesn't do it without having to inherit some risk to score well. While the island green concept has become increasing popular since TPC Sawgrass instituted it on #17, it has mostly been reserved for par threes but here it is used as a risk/reward feature on a par five. Golfers can play it safe up the right side before wedging onto to the green or they can take their chances taking a rip at the large putting surface which is a huge temptation if you have a club in your hand you can land fairly soft. A bunker sits short and left of the green but can be your friend if it saves you from a watery grave that engulfs shots that don't find the putting surface. It is nice to see the island green featured on something other than a one-shotter and is well executed here. Birdie Time: 11th Hole – 384 Yard Par 4 – Nicklaus delivers another risk/reward opportunity with this shortish par four where it is all about how much you want to chew off with your driver. The fairway doglegs left around a pond and features a bunker in the middle of the short grass. My advice here is to aim for the bunker in the middle and hope you don't hit it straight. Miss a little left and you shorten up the hole, miss a little right and you have plenty of safety. Bogey Beware: 9th Hole – 468 Yard Par 4 – The closing hole on the front nine is both beautiful and challenging as it stretches along the coastline running directly north where wind will almost surely be factor in how this hole plays. The tee shot plays slightly downhill before the fairway climbs back uphill to a domed greensite that is quick to repel approach shots that don't come in high, soft, and accurate. If wind is coming from the north then this hole becomes very difficult to successfully reach in two which can quickly result in a bogey.